These days, we are all suffering from some kind of stress—work, family and financial obligations can certainly impact our stress level. When stress is high, cortisol, the stress hormone, rises. A rise in this hormone can trigger numerous pathways that can affect everything from our emotional well being to our ability to build muscle and burn fat! If that weren’t enough, the environment we live in and the food we eat can further contribute to our body’s inflammatory response, which can cause an increased cortisol response. So what are we to do? Keep reading to learn more about stress and cortisol and how it makes us fat! When stress levels are high, the body releases adrenaline to initiate your fight or flight response along with cortisol, which triggers an immediate increase in energy demands. Cortisol responds by providing the body with a surge of glucose supplying an immediate energy source to the muscles, but not by conventional sources. Rather, cortisol breaks down hard-earned muscle in the process of gluconeogenesis in the liver. 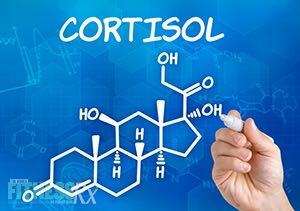 Cortisol also inhibits insulin production, which decreases storage of glucose, allowing it to be used right away. If you are constantly suffering with stress, your cortisol levels could be maxed out and running on high continually. This can cause long-term high blood sugar levels and, eventually, lead to reduced insulin sensitivity or insulin resistance. Consistent high levels of cortisol can lead to fat gain and not just any kind of fat gain either. 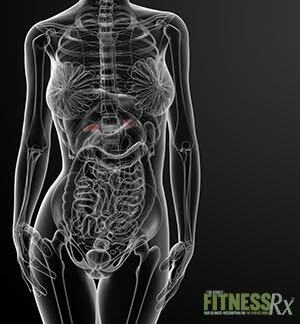 Cortisol has a tendency to redirect triglycerides, or stored fat, to visceral fat to areas like the belly! Why would it do this? Cortisol aids in adipocytes or fat cell development, as well as fat metabolism in a biochemical enzymatic reaction that requires cortisol. Visceral fat cells also generate cortisol in a reaction that converts cortisone to cortisol, further increasing cortisol levels! In addition to its effect on fat metabolism, cortisol can also impact many of those hormones that affect hunger and cravings. When insulin is unavailable to deliver sugar to energy craving cells, the body responds by sending a signal to the brain that it needs to eat. This can result in a surge of ghrelin, the hunger hormone! This can result in an increase in calorie consumption to overcompensate for the lack of energy. 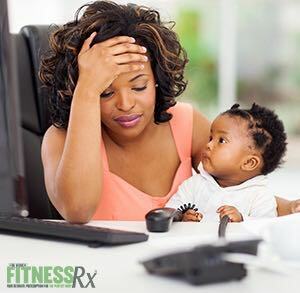 How Can You Prevent Stress Fat? Preventing stress fat and reducing cortisol levels starts by reducing stress in your life. If you are highly stressed by work, life, financial or family obligations, now is the time to take control over your situation and do something about it. Hitting the weights for a workout is an obvious choice for reducing stress, but so is taking up a more relaxing form of exercise such as yoga, which has been shown in research to reduce cortisol levels after just one month of practice. In addition to exercise, getting plenty of rest will also help to further reduce cortisol levels. Aim for at least 8 hours per night. 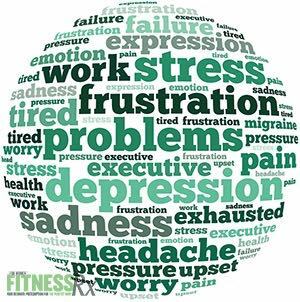 Chronic stress can lead to high levels of inflammation, which can affect digestion and absorption of food. Additionally, certain foods can cause greater inflammation, which can further increase the stress response. Using a diet that is low in inflammatory foods is one way to help combat cortisol, reduce inflammation and help regulate the metabolism. Eating a diet that is higher in omega-3 essential oil, versus omega-6 oils, can help reduce inflammatory response, as can consuming fibrous, low glycemic foods. Eating a diet rich in fresh fruits and vegetables that deliver antioxidants, vitamins, minerals and fiber that your body needs will also help to fight inflammation. Additionally, choose lean cuts of meat that are low in saturated fats, fibrous whole grains and, again, don’t forget the good for you omega-3 fats like those found in fish oils, flax or chia. Adams CE, et al. Lifestyle Factors and Ghrelin: Critical Review and Implications for Weight Loss Maintenance. Obesity Rev. 2011. 12(5). Bosma-den Boer MM, van Wetten ML, Pruimboom L. Chronic inflammatory diseases are stimulated by current lifestyle: how diet, stress levels and medication prevent our body from recovering. Nutr Metab. 2012. 9: 32. Stimson RH, et al. Cortisol release from adipose tissue by 11B-Hydroxysteroid Dehydrogenase type-1 in humans. Diabetes. 2009. 58(1): 46-53. Thirthalli J, et al. Cortisol and antidepressant effects of yoga. Indian Journal of Psychiatry. 2013. 55(Suppl 3): S405-S408.